The professional ethics is one of the pillars of the professional studies of the Grinberg Method. 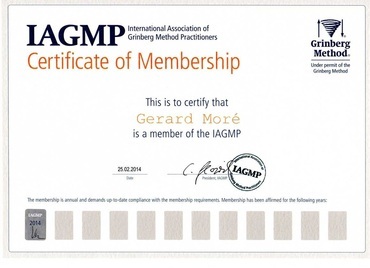 Once a student successfully graduates from the three years become a Qualified Practitioner of the Grinberg Method and it is invited to join the International Association of the Grinberg Methods Practitioners (IAGMP). One of the aims of the IAGMP is supporting the Grinberg Method professionals in their aim to offer the highest quality in their public service. To fullfill the Code of Ethics and Professional Conduct of the Grinberg Method. To undergo an annual supervision where the professional quality and ethics are evaluated. To keep continuously learning through advanced study courses. WHAT DO WE STUDY IN OUR STUDIES?